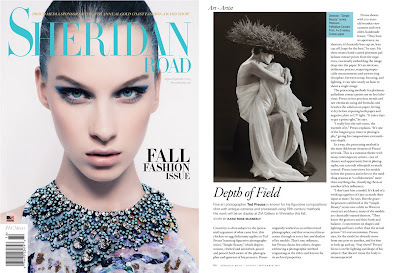 Great news, I’m in the current issue of Sheridan Road Magazine! Thanks Katie McEneely for a wonderful article and interview. Just in time for my show at ZIA Gallery with Clyde Butcher, October 19th.